Our staff consists of three veterinarians, three certified veterinary technicians, two veterinary assistants, two client relations specialists and two kennel assistants. Veterinary students and veterinary technician students are also apart of our staff. Dr. Mike Newell graduated from Iowa State University in 1977. He has worked and owned a vet clinic in Whitewater for 30+ years. Work is still his hobby, along with being a fan of college sports. His family includes his wife Kari and their son Doug. 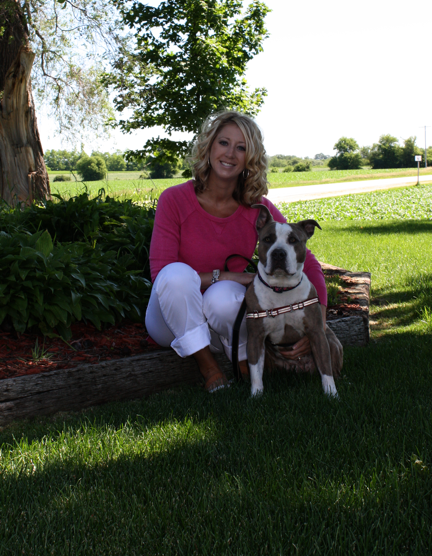 Dr. Angie Reed graduated from UW-Madison Veterinary School in 1997. 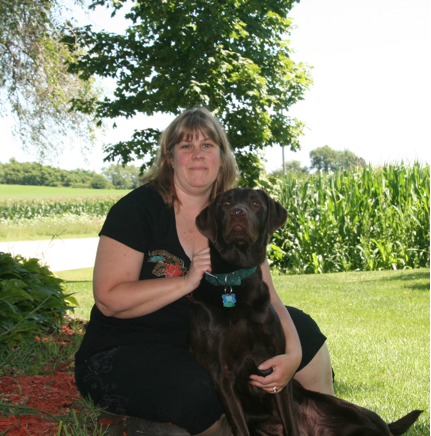 After working for three years at a small animal vet clinic in Paddock Lake, she joined AMC in 2000. Her family includes her husband Rick, their son, A.J, dogs Benjamin and Taro and two geckos. When she is not at AMC she enjoys being outdoors and is an avid Wisconsin sport fan. 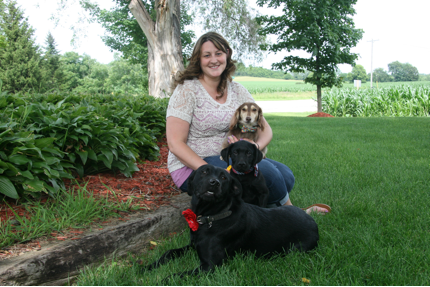 Dr. Jenn Vogel graduated from University of Minnesota College of Veterinary Medicine in 2016. She joined the AMC team shortly after graduation and is excited to be back in the southeastern WI area. Her professional interests include dermatology, dentistry, exotic companion animal medicine, and client education. She currently shares her life with her guinea pigs, Nelson and Crosby. Dr. Vogel is an avid Green Bay Packers fan. Outside of football season she loves spending time outdoors, crafting, and reading. Denise has been a part of the Animal Medical Center staff since April of 2004. She started out as a part-time receptionist and shortly after joined our clinic full-time. When she isn’t working or sleeping she is spending time with her husband Oral and animal family consisting of 4 dogs, 13 cats, a cockatoo, 7 horses, a mini donkey, 2 cows, 6 sheep, 2 pigs and 5 chickens, most of which are rescues. 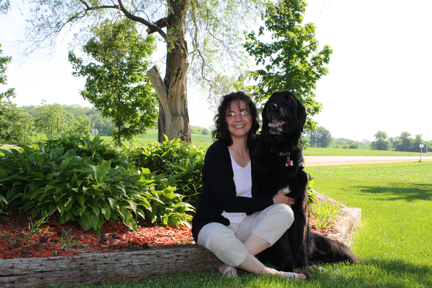 Denise’s lifetime goal was to someday have an animal sanctuary and she has certainly fulfilled that dream. Jolene joined our practice in April 2013 as a receptionist. She attended UW Whitewater and previously worked for a health insurance company. She always aspired to work in an animal related field. It is at AMC that she is finally able to merge her love of animals with her career. Jolene shares her life with her husband Andy, four rescued pit bulls Lucy, Sophi, Jaxson and Marci and cat Elizabeth Taylor. Andrea joined the Animal Medical Center as a certified vet tech in May of 1998 after graduating from the vet tech program at MATC. Her family includes her husband Rick, her two children Kayla and Keegan, 4 cats, Black Jack, Jezabelle, Gracie, Mikey and her dogs Winston and Octane. In her free time you can find her at the race track with her husband Rick. Tiffany joined AMC in 2004 as a part time technician assistant and receptionist. In 2012 she graduated from UW Whitewater with a bachelor degree in biology. She loved her job so much at AMC, she decided to stay with our practice as a full time veterinary technician. Tiffany’s family includes her husband Brad, her two children Eli and Mackenzie, her black lab Rylee, black lab Cooper miniature dachshund Beau and cats Bentley and Flora. When Tiffany is not at AMC, she is spending time with her family and animals. Yazmine joined our practice in July of 2017 as a receptionist. She is currently enrolled in Penn Foster veterinary technician program and working as both receptionist and vet assistant. Yazmine shares her life with her significant other Jacob, their two dogs Charlie and Trapito and seven rats, Aaron, Hue, Topogigo, Possum, Harry and Droopy. When she isn’t at work she enjoys camping and hiking with her family. Jessica joined our practice in April 2018 as a veterinary assistant. She served in the US Marine Corp from 2008-2012 and is a 2017 graduate of George Mason University. Jessica was previously employed at a vet clinic in Virginia as well as a dog training and wildlife center. She is currently completing undergraduate classes with intentions of attending veterinary school. She shares her life with her husband Jason, their three children Nick, Braden and Jeffrey, their dog Miley, cat TinkerBell, chinchilla Mufasa, sugar gliders Zoey, Skittles and Gizmo and rabbits Adam, Aurora and Chip. When Jessica is not working she enjoys reading, running and crafting. 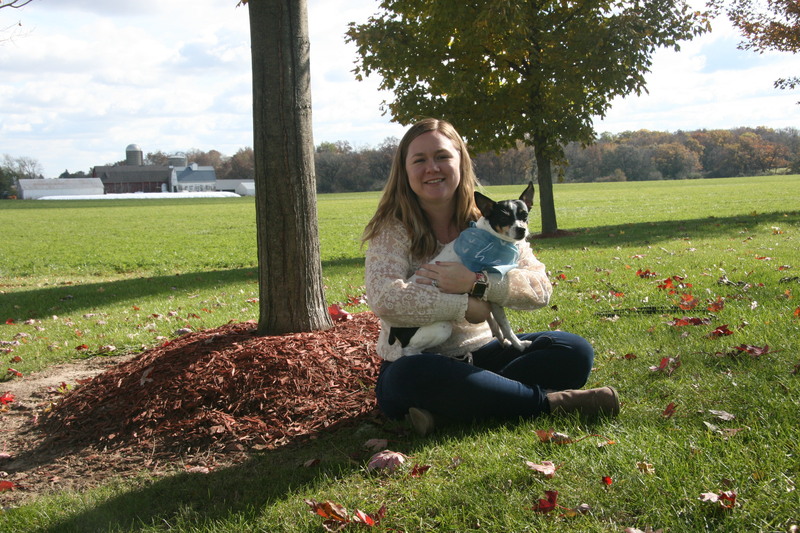 Rachel started with the Animal Medical Center in 2006 as a part time kennel assistant. She would eventually cross train as a receptionist and vet assistant. Because of her love and special connection with animals, she decided to pursue a career as a veterinary technician and graduated from Globe University in 2014. Rachel shares her home with her two rescue dogs Duke and Crazy, cats Richard and Waylon, Cockatiel Skip and has been a foster home to many other animals. When Rachel isn’t working, she loves to cook, garden, antique shop, hunt and spend time with her family, friends and animals. Ambre joined the Animal Medical Center in June 2016 as a kennel assistant. She will graduate from Fort Atkinson high school in the summer of 2019. She has been accepted to the University of Wisconsin River Falls with intentions of pursuing a career as a veterinarian. 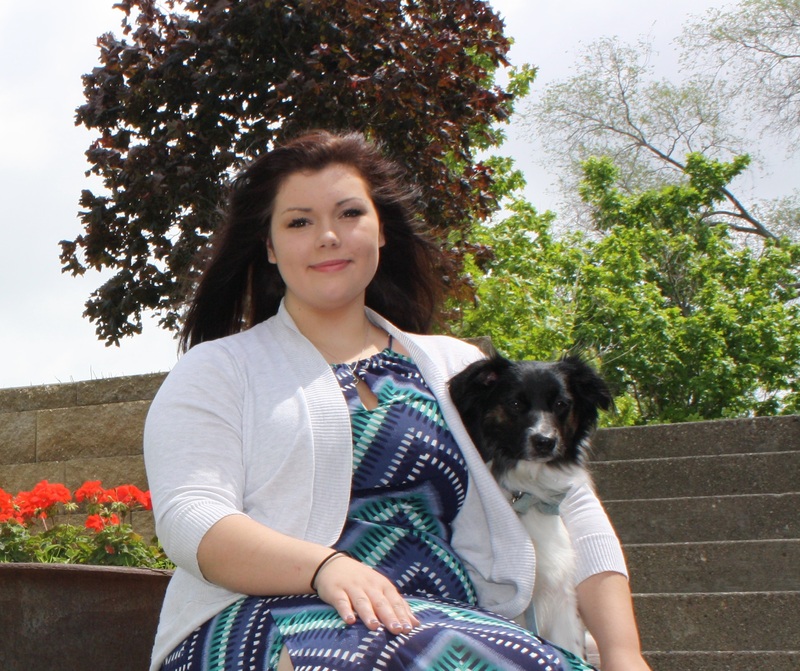 Ambre is active in FFA, National Art Honors Society and is a volunteer at the Jefferson County Humane Society. Andrea joined our practice in September 2017 as a kennel assistant. She is a student at Whitewater High School and will graduate in 2020. Andrea is active in FFA and WIHA-Wisconsin Interscholastic Horsemanship Association and enjoys riding and caring for her horse Scout in her spare time. Araseli started with our practice in July of 2018 as a part time receptionist. She is currently a student at Whitewater High School and manager for the wrestling team. When she isn’t in school or working, she loves hanging out with her friends at the local coffee shop.